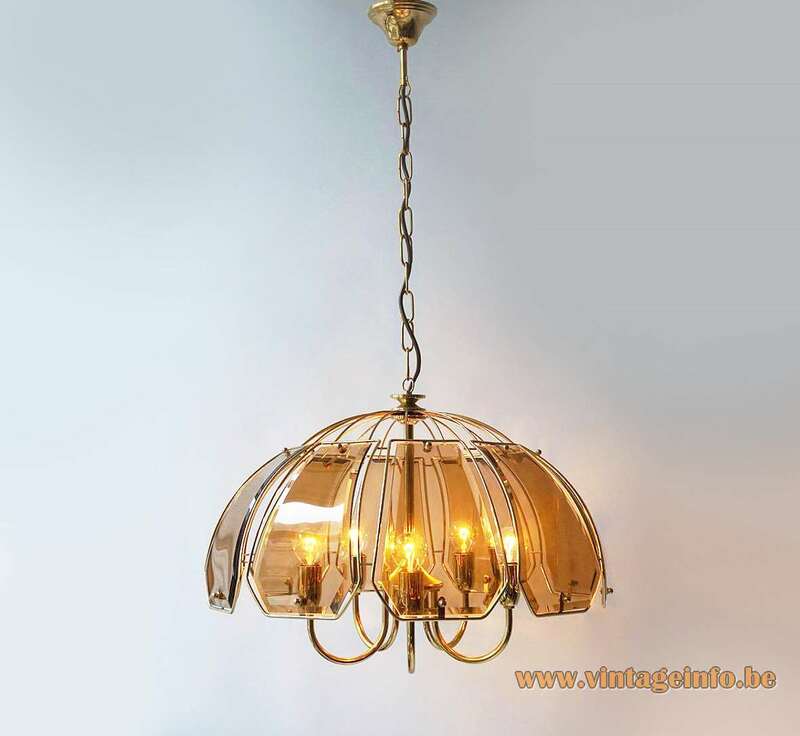 Materials: Brass and gold coloured iron frame. 10 cut smoked glass curved discs. Bakelite sockets. Electricity: 5 bulbs E27, 5 x 60 watt maximum, 110/220 volt. Other versions: Also made as wall lamp, flush mount, table lamp. 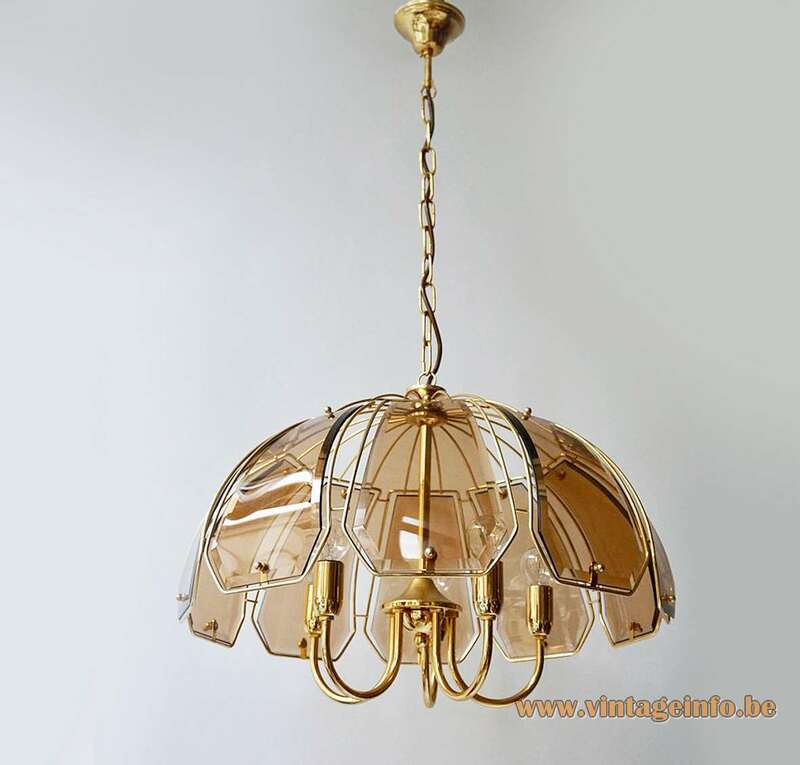 This smoked cut glass with gold coloured metal is typical 1970s German. This is the Massive version. 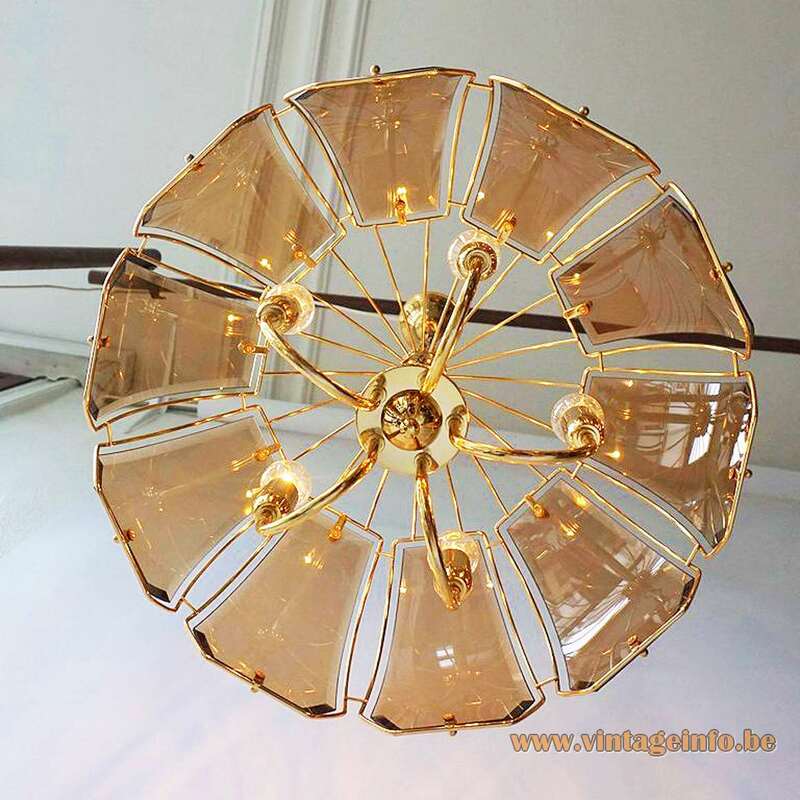 One of those companies that produced such lamps is Sische. 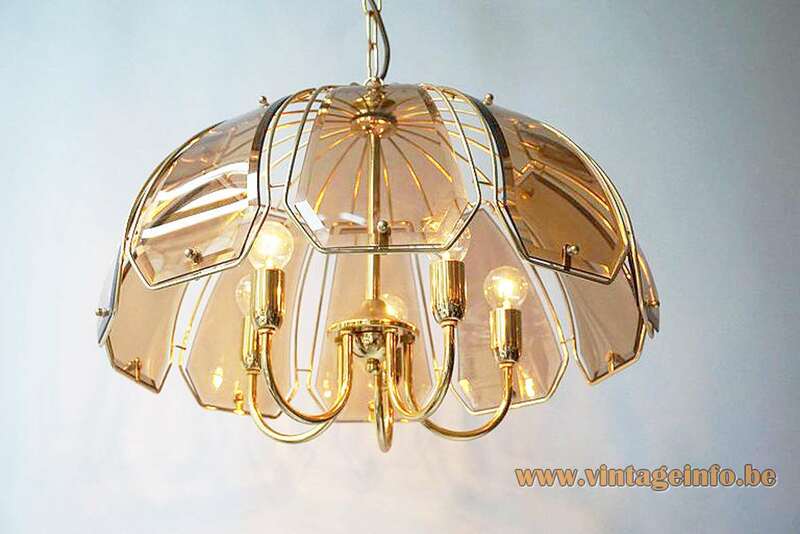 They produced a large amount of cut glass chandeliers in this style. 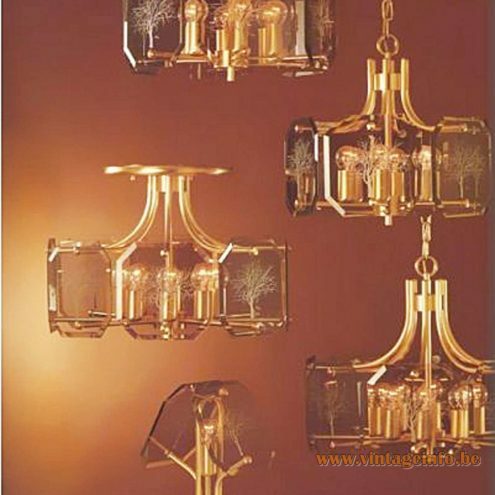 One of the most well known chandeliers is the Baum lamp, designed by Luigi Colani, as you can see below. The light company Simon & Schelle GmbH & Co. KG was founded right after World War II in the German city of Sundern in 1946. Founders were Josef Simon and Josef Schelle. 3 years later they presented their first light collection. 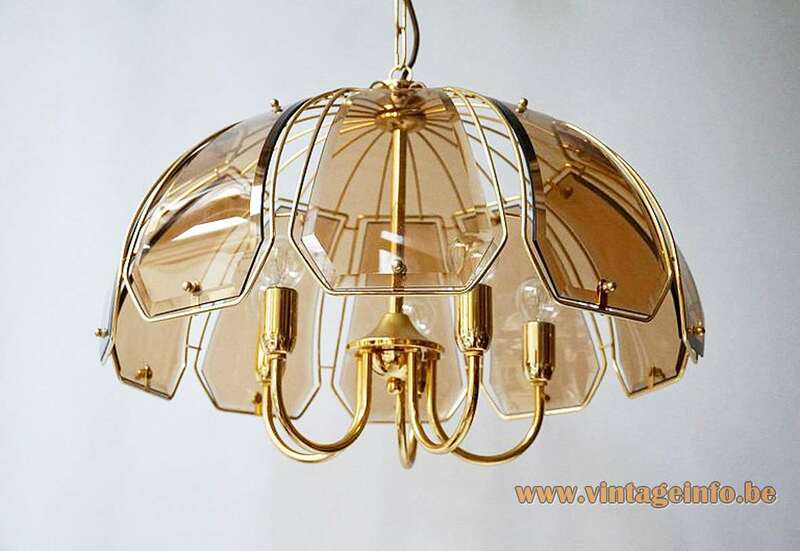 Over the years the company produced many lamps. 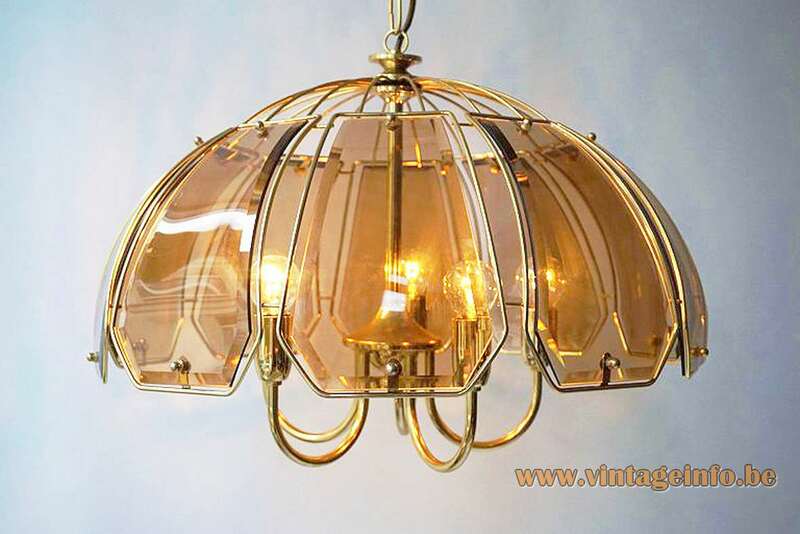 One of the most well known lamps are made of glass flowers and brass, as you can see below. In 1980 Luigi Colani designed the disk lamp with the tree-decoration. How strange it may sound today, these lamps were a huge success. 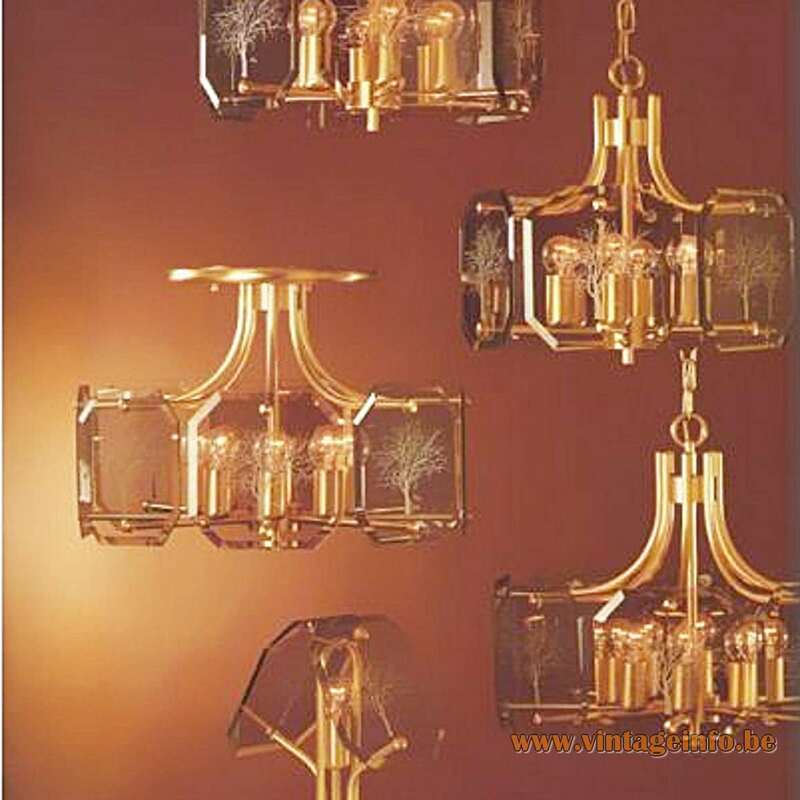 The design was used for many objects such as glasses, decanters and vases produced by the German Ritzenhoff AG. Several companies produced lamps and objects with a comparable design. Until 1989 the original founders led the company after which the second generation stepped up. Simon & Schelle ended business in 2015. At that time they were also active as an electroplating company and they sold a collection made by Joop!, a German fashion company founded in 1987. For a while they also sold furniture and home decor. The website of Sische still exists today, but is under construction. There may be a restart of the company or someone has bought the domain name.